More than a third of the average household waste is food scraps. This is a shocking statistic and has lead many individuals and cities to look at ways to turn this valuable ‘waste’ into usable soils. So, what are our options? Some cities have started to introduce food scrap collection programs. 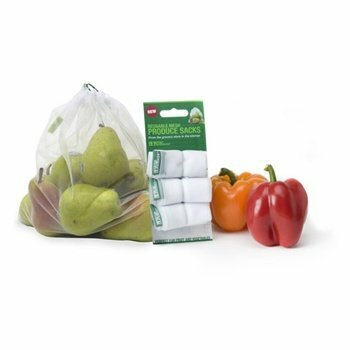 Metro Vancouver took it a step further and introduced a ban on all organic materials in the garbage from Jan 1 2015. This is great but not everyone has access to an organic collection system. Also, if you’ve bought the resulting compost the quality can be fairly poor and often contaminated with plastics. Plus, there is something wrong about buying back the waste that we were so eager to throw out in our green bin. Surely there is a better option than giving our food scraps away in the first place…. 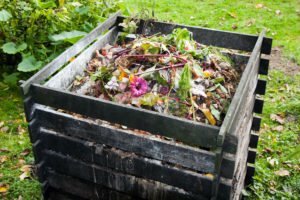 Composting of household food scraps and garden waste seems like a great way to create high quality homegrown compost, in theory…. I would guess that most people reading this have tried ‘traditional composting’ at one time or another. My experience was a black bin that I religiously filled with food scraps and garden waste but which never seemed to harvest anything other than some very putrid swamp-like mush. Popular with the local rodents, yes! Useful for my garden… no! OK, I know that some people have fantastic compost systems but I also know a lot of others who share my lack of composting prowess! And this is where the third option comes in…..
Bokashi composting uses ‘good bacteria’ to ferment (or pickle) food scraps in around 2 weeks. The resulting ‘pre-compost’ can simply be buried in a trench in your garden and is ready for planting within another 2-4 weeks. Bokashi composting provides a simple, effective system for everyone to use their own food scraps to make healthy soil and to grow healthy food. 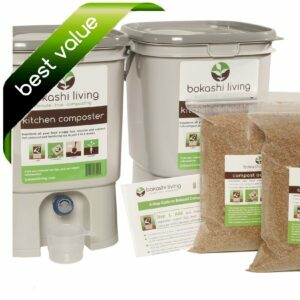 ← Amazing results with bokashi compost! !